Corbyn projects Israel as being a brutal oppressive regime carrying out racist policies by stealing the land of the deprived Palestinian Arabs. Revelations expose Labour Party members at all levels holding deeply felt and widespread anti-Jewish and anti-Zionist tendencies. The outing of this anti-Semitism has come about to a large extent by the actions and utterances of their leaders. The rank and file feel emboldened to express themselves by calling Israel a “racist endeavor” and anyone who supports the Zionist state as being complicit with an illegitimate regime. 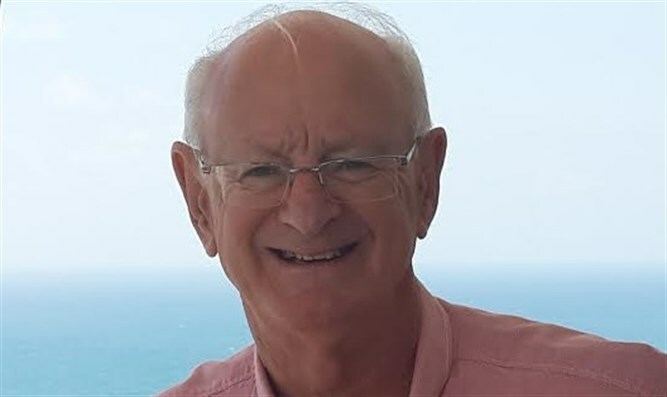 It hasn’t helped that the IHRC definition of anti-Semitism was imposed on the National Executive Council of the Labour Party though a loophole was granted to them that will allow them to “criticize” Israeli policies. Indisputably, Jeremy Corbyn holds the most public anti-Israel vehemence since the days of Ernest Bevin in the late 40s. The anti-Semitic Bevin vigorously opposed the establishment of the Jewish State. As Prime Minister, Corbyn will vigorously try to delegitimize the Jewish State. For decades Corbyn has cobbled together a coalition of radical forces who are allied to his hard left political theology. Organizations such as the Socialist Workers Party, the Palestine Solidarity Movement, and the Islamic Human Rights Council allied to the Muslim Brotherhood rally to Corbyn’s anti-Israel cause. Corbyn sees evil in the world. It is not the evil of Communism that has slaughtered and repressed hundreds of millions of their own people in countries like Russia and China. He doesn’t see the evil of hardened Socialism that has economically ruined countries and impoverished people in countries like Cuba and Venezuela. On the contrary, Corbyn idolized Castro and Chavez. He doesn’t see the evil perpetrated by Islamic terror or oppressive Arab regimes that have left a trail of bodies and millions of refugees in their wake. On the contrary, Corbyn supports them ideologically and politically because they oppose Israel and America. Corbyn’s perceived evils are Western imperialism, European colonialism, things of the past but to which this old school Marxist still clings today. His third evil is capitalism. The glue that binds all three together is Israel, via the Zionist cause. He looks on the Jewish State as being an American-supported colonialist regime, powerful through its capitalist free-market policies. From that starting point, he projects Israel as being a brutal oppressive regime carrying out racist policies by stealing the land of the deprived Palestinians. Israel is, for Corbyn, the donkey he can beat and kick to his heart’s content. It fits all the evils of his malevolent mind. He can trot out all the hard left epithets and craft them to match his fevered mind. Why didn’t he meet with any Israeli Jewish leader to press for a shared solution? He deliberately avoided them on his trip here. Why, if he wants a two-state solution? The conclusion is that he doesn’t. Corbyn is not a man of peace. He is a disruptor. When Corbyn was in Israel he visited Jerusalem, Hebron, Ramallah, and other places. He met with PLO and Hamas members. He wants to establish Palestine. Why didn’t he meet with any Israeli Jewish leader to press for a shared solution? He deliberately avoided them. Why, if he wants a two-state solution? The conclusion is that he doesn’t. This isn’t a new phenomenon. What Corbyn is resurrecting is the old canard that “Zionism is racism” from the turn of the century. A global protest movement of leftist groups targeted Israel, accusing it of all the shameful crimes of the White South Africa. They turned Israelis into white oppressors, no matter that the majority of Israeli Jews fled or were thrown out of Arab and Muslim lands which carried out an apartheid more heinous than the apartheid of South Africa. It reached its pinnacle with the passing of Resolution 3379 at the United Nations which declared that “Zionism is a form of racism and racial discrimination.” It took nineteen years to get this anti-Semitic resolution overturned. He meant it. The Labour Party has already begun to purge its ranks of any prominent member who has the courage to speak up for Israel. At the recent Labour Party Conference in Liverpool, members voted on their top ten policy priorities. ‘Palestine’ ranked 4th, shockingly ahead of Brexit. The number of votes for ‘Palestine’ was greater than those of welfare and social care combined. In halls of Palestinian flag-waving voters, union members put ‘Palestine’ ahead of their personal and collective issues such as the National Health Service and local government funding. Milne is the man who has Corbyn’s ear and will set his foreign policy agenda. Corbyn in power will begin to impose sanctions and boycotts against Israel. 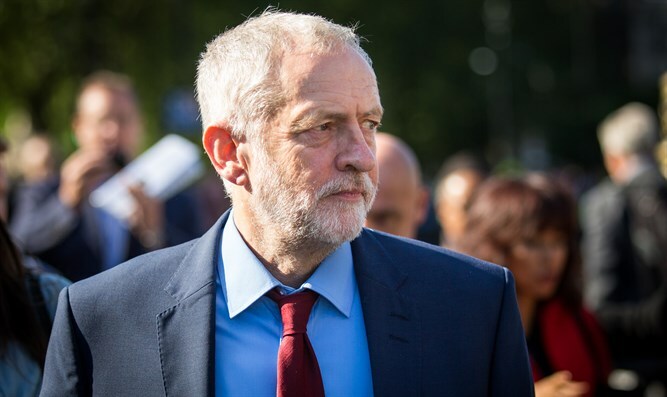 In Britain, Corbyn will work to remove his friends of Hamas and Hezbollah from the penury of being designated “terror organizations.” They will find it less stringent to transfer their terror money through the London banking system. Israel must prepare itself for a Corbyn tsunami. Some would argue that the British electorate will prevent Jeremy Corbyn from reaching Downing Street but an IISS assessment concludes that Corbyn will be Britain’s next Prime Minister. As of April 2018, Labour had 540,000 registered members to the Conservatives 124,000. Corbyn, since becoming party leader, has tripled membership, and it continues to grow. Labour has received over £40 million from subscriptions, donations and union payments. The Tories have barely raised a paltry £3, and more than half was derived from legacies and wills. The average age of Conservative members is 72 against the younger average age of 53 for Labourites. And the Conservatives are in disarray under Brexit and a suffering economy. One final dreadful thought for Israel. Consider a world come 2020 if Corbyn is Britain’s new Prime Minister and the radical left of the American Democratic Party win the White House. Already, in the US midterms, we saw several new passionately anti-Israel politicians gain power in Democratic victories. Imagine a world in which a Corbyn-led government in Britain links up with an anti-Israel Congress and White House in America. This world will be a totally different place.